I'm a fan of seafood and Seafood Island definitely takes seafood dishes a notch higher with creative menu offers like the Tali Beach. It's called thus because food is literally nakatali or hung. 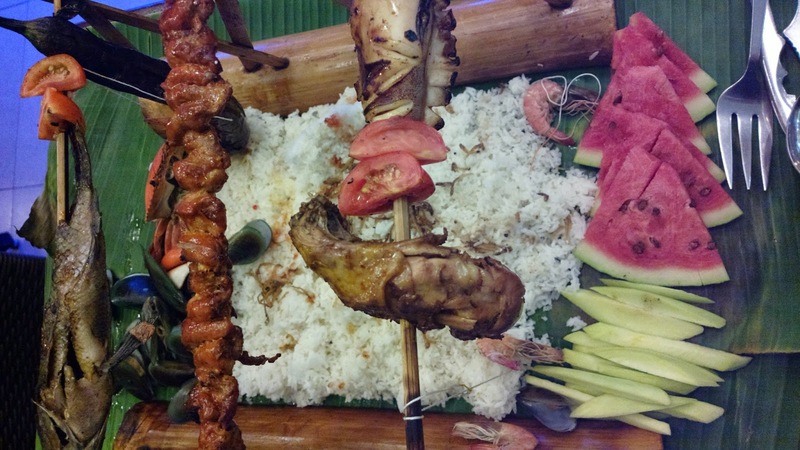 Food included in the Tali Beach are grilled meat like chicken, pork, squid, and tilapia with shrimp, tomato, and eggplant hanging over rice with fried dried dilis (anchovy) toppings served in banana leaves. 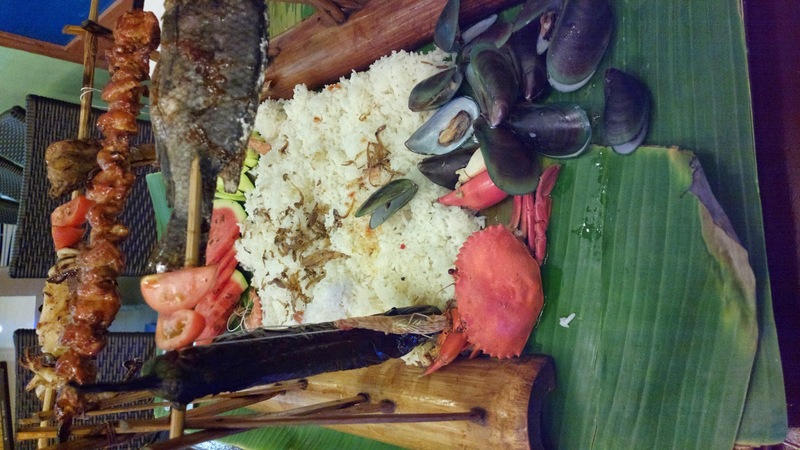 Served on the sides are crab, tahong (Asian green mussel), and green mangoes. You can even make an ensalada or salad by mixing the boiled eggplant, tomatoes, and green mango with sweet ginisang bagoong (salted fish sautéed). And for dessert or panghimagas, watermelon slices as also included. Tali Beach is enough to serve 3-4 persons but only two of us devoured our meal that time. We had a lot of left over, specially rice where we only scooped out the dilis on top. The crabs were served late for this specific visit though. If we didn't notice and asked a waiter to followup, I'm wondering if it may not have been served at all? Hopefully not, as the server said it just took a while to cook. We didn't clean up the entire (circular) basket though, specially the rice, but munched over the other dishes. I believe the Filipino phrase, untranslated, sounds more accurate --- "nilantakan ang ulam." 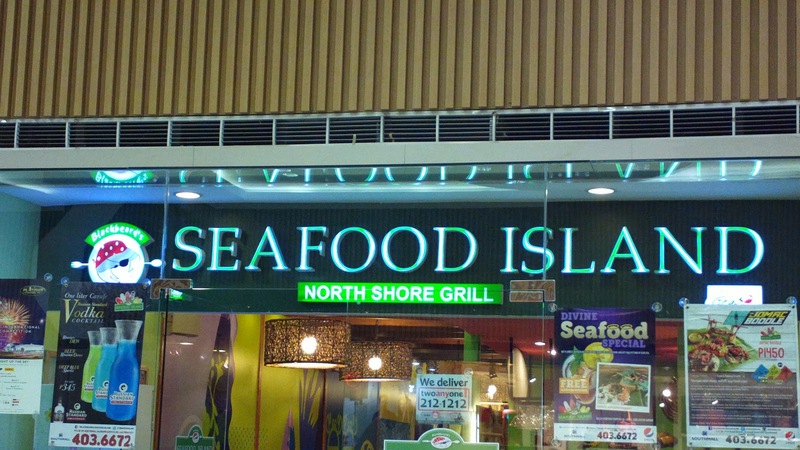 The beach inspired design and ambiance of Seafood Island branches makes seafood dishes even more appetizing.